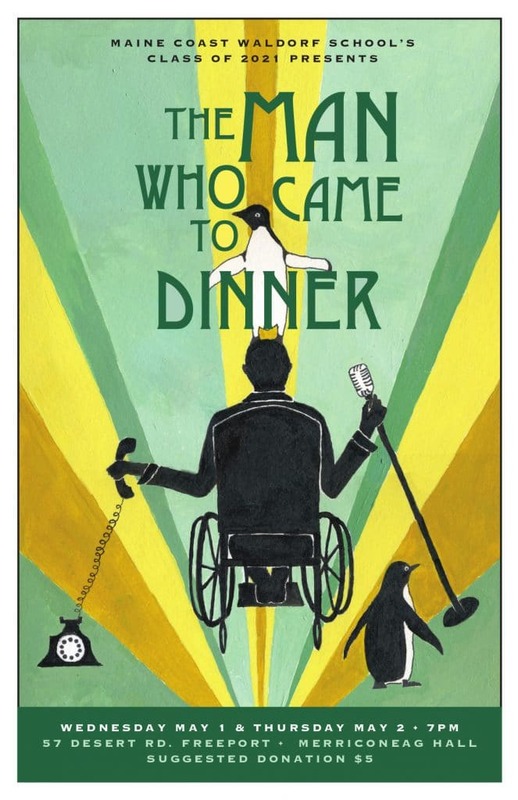 Imagine that the country’s most prominent, boorish celebrity, invited to dine at your home, slips on the ice outside your doorstep and is confined to a wheelchair for an indeterminate time as a result. Much to your entire family’s consternation, he manages to offend everyone in your household, as he turns your home into his private headquarters, commandeering the entire downstairs, monopolizing the telephone and entertaining a steady stream of the world’s rich and famous. Then imagine what might happen if this luminary’s longtime assistant falls in love with the town’s newspaper editor. To what lengths might the ruthless celebrity go to prevent this courtship from succeeding? And what role do cockroaches, penguins and an Egyptian mummy case play in this wacky comedy? 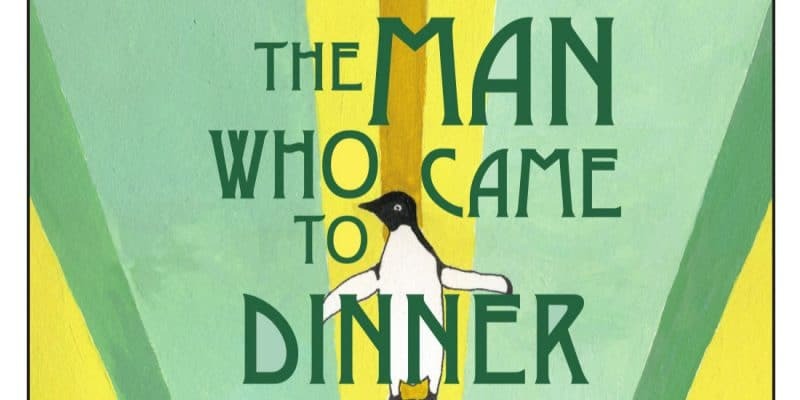 All will become clear when you attend the Class of 2021’s production of Kaufmann and Hart’s 1940 play The Man Who Came to Dinner. Come to the Open Dress Rehearsal on Monday evening, April 29, at 7 p.m. or to the performances on Wednesday and Thursday evenings, May 1 and 2, also at 7 p.m. in Community Hall, 57 Desert Road, Freeport. Elementary and high school students will be able to see the play on Tuesday, April 30, at 1 p.m. For the evening performances, a suggest donation of $5 would be appreciated. Spring for Waldorf this Saturday, April 6th!